Firstly WBO Bantamweight champion Pungluang Sor Singyu (51-3, 35) [ผึ้งหลวง ส.สิงห์อยู่]. The experienced Thai is now a 2-time world champion and begins 2016 with a defense against Jetro Pabustan in February, before facing mandatory challenger Marlon Tapales later in the year. Aged 27 Pungluang is just starting to reach his prime, despite his 54 fight career, we suspect he'll be a man to watch this coming year, despite being best known for suffering a stoppage loss to Tomoki Kameda. If he gets past Pabustan he'll then be looking to face Marlon Tapales later in the year. The biggest name fighter from Asia actually missed out on being included in our 30 fighters to watch, though of course he too is worth keeping an eye out to see. That is Filipino star Manny Pacquiao (57-6-2, 38). The “Pac man” is expected to finish his career this year and currently has a bout scheduled for April 9th, a rubber match with American Timothy Bradley. Sadly it's due to the fact that Pacquiao is 37 and set to retire that we didn't include him in the original 30, but he is always worth watching. If the third Bradley fight does end up being the final bout of Pacquiao's career then it really will be the final time to see him in the ring. Another notable fighter who was missing from the original 30 was unbeaten 20 year world champion Kosei Tanaka (6-0, 3) [田中 恒成]. The WBO Minimumweight champion won, and defended, the title in 2015 but seems almost certain to vacate as he begins to target the Light Flyweight division. Sadly for Tanaka we were less than impressed by his final showing of 2015, a stoppage of Vic Saludar. We hope that that performance was partly due to struggles at the weight though there is the possibility that he may not be as good as we first thought. Another Minimumweight worth making a note of is the wonderfully named Knockout CP Freshmart (11-0, 6) [น็อคเอาท์ ซีพีเฟรชมาร์ท], the WBA “interim” champion. The former Muay Thai stand out gained attention from his debut, due to his excellent ring name, and in 2014 scored his best win, defeating Carlos Buitrago via close decision. In 2015 we were a little disappointed by Knockout's inactivity, fighting just twice, however he did look excellent against Alexis Diaz and it does seem likely that he will chase a big fight in 2016, with Hekkie Budler's name being among those mentioned by his team. It does seem however that a rematch with Buitrago, in February, will come first. Many fighters on this list are relatively unknown in the West, and certainly a vast majority haven't appeared on American TV. One of the few exceptions to that is the exciting Light Welterweight Keita Obara (15-1-1, 14) [小原　佳太] who left an impression on US audiences when he faced Walter Castillo this past November. Although Obara was robbed in that bout he left a solid impression and is likely to get a rematch with Castillo in late Spring. Also, given that he's at 140lbs, he will likely be in the conversation for Stateside bouts with other well known names and he also, of course, has a fun style. We've looked at a number of world champions but of course not everyone holds a world title, despite the many jokes about there being too many titles. One man who doesn't have a title, though is always worth watching, is Japanese action man Katsunari Takayama (30-8-0-1, 12) [高山　勝成]. Takayama lost the IBF Minimumweight title at the very end of 2015 and although retirement is looming he will almost certainly fight at least once more, likely at 108lbs. Given that Takayama always provides action we suggest watching whatever is left of his career, as sadly so many fans have missed out on one of the sports most exciting fighters of the last decade. We've never been ones to hide the fact that we like action fighters. We can appreciate the sweet science but we are huge fans of the old “Korean style”, where fighters fight. With that in mind we quickly fell in love with little Thai prospect Chanachai CP Freshmart (5-0, 2) [ชนะชัย ซีพีเฟรชมาร์ท] who gets in the ring and fights. His style is high octane, exciting and all action and whilst we don't think he'll make a mark on the world scene in 2016 we would certainly advise fans try try and watch him when they can as he is a lot of fun! Staying with Thailand it's only fair to include over-looked Light Flyweight contender Paipharob Kokietgym (32-0, 25) [ไผ่ผารบ ก่อเกียรติยิม]. The Thai, who has been highly ranked over the last few years, appears to have been over-looked for a world title fight once again however his team will continue to pursue a title fight through 2016. His long unbeaten record does include numerous poor opponents, but he does have notable wins over Rey Megrino and Jesus Silvestre and has the ability to really question the top guys in the division. Sadly 32 year old has been wasting time waiting for a chance and it's fair to say that he's not getting any younger. One young man who does seem likely to have a title fight in the near future is exciting Filipino Jerwin Anacajas (24-1-1, 16). The 24 year old Super Flyweight is a really exciting Southpaw who combines speed, power, ability and movement. The “Pretty Boy” has generally been over-looked by fans and powerful promoters but he's now expected to get an IBF title fight and could potentially break out as a Filipino star before the year is out. We get excited when we watch Ancajas and suspect others will too given his style. So, May has finally ended and we're now in June. What a perfect time to look back on the fights we've had over the past 31 days. The action kicked off almost immediately with an intriguing Japanese show on May 1st. The headline bout saw Ryota Murata (7-0, 5) score an impressive TKO against Brazilian fighter Douglas Damiao Ataide (13-2-1, 6) and in fairness to Murata it was the sort of finish that he needed after going the distance in back-to-back fights. There is still a lot of questions regarding how far Murata will go but at times he looked world class, especially with the way he finished of Ataide, who had never previously been stopped. Although Murata's bout was, technically, top of the bill there was also a world title fight on the card as Takashi Miura (29-2-2, 22) took care of Australian Billy Dib (39-4-0-1, 23) with a very destructive stoppage. This was Miura's 4th defence of the WBC Super Featherweight title and he's now looking to break out his passport and fight in the US or Mexico in the hope of building his international fan base. The day wasn't all good for Japanese fighters however as Takahiro Ao (27-4-1, 12) got stopped in a WBO Lightweight title bout by Raymundo Beltran (30-7-1, 18). Beltran, who had failed to make weight for the bout, looked significantly bigger than Ao and made light work of the under-sized Japanese fighter. Interestingly a story has since broke that Beltran has failed a drugs test and if that story is confirmed this bout will be changed to a No Contest. Just a day later we saw the richest fight in history as Manny Pacquiao (57-6-2, 38) and Floyd Mayweather Jr (48-0, 26) finally got it on. Sadly the bout failed to live up to the expectations of many and although the bout made an insane amount of money it really did little to advertise our great sport. Pacquiao, who lost the bout by unanimous decision, did himself no favours following the bout by citing an arm injury for his performance and numerous people have since filed court cases against the hugely popular Filipino. On May 6th we had more title action with a Watanabe promoted triple header. The most impressive performance here saw WBA Super Featherweight “super” champion Takashi Uchiyama (23-0-1, 19) blast away Thai challenger Jomthong Chuwatana (9-1, 4) in just 2 rounds. Uchiyama looked sensational at times in one of his most impressive performances since winning the title more than 5 years ago. Although the Japanese fighter looked amazing he did later require surgery on his left elbow. On the same show Uchiyama's stablemate Ryoichi Taguchi (22-2-1, 9) retained his WBA Light Flyweight title with an 8th round TKO of Thai veteran Kwanthai Sithmorseng (49-4-1, 26). Kwanthai brought the fight for the most part but was dropped numerous times by the champion who certainly his harder than his record indicates. The third champion to defend their title on this show was WBO female Minimumweight champion Kumiko Seeser Ikehara (7-1-2, 3) who managed to take a very close technical decision over Kayoko Ebata (8-6, 4). Sadly for Ebata this was her 4th loss in world title bouts and it now seems unlikely for her to get another. We saw more Japanese world title action on May 9th as WBC female Minimumweight champion Yuko Kuroki (13-4-1, 6) retained her title with a wide points win against Masae Akitaya (9-6-2, 3). For Kuroki this was the second defense of her title and it seems likely that the 24 year old is only going to get better and better. Sadly for Akitaya this was her 4th set back in world title bouts and the 37 year old, who actually fought on her birthday, is clearly coming to the end of her career. Also in action on May 9th was the iconic Hozumi Hasegawa (34-5, 15) who put on a stellar performance to clearly defeat the heavy handed Mexican Horacio Garcia (29-1, 21). The bout was Hasegawa's first for more than a year and he looked like a fighter who had more fight in him than we had expected. On the other hand Garcia was disappointing and never looked like really testing the talented Japanese southpaw. Sadly May 9th wasn't all good for Japanese fighters as it ended with Tomoki Kameda (31-1, 19) suffering his first professional defeat. Kameda, who vacated the WBO Bantamweight title, took on WBA “regular” champion Jamie McDonnell (26-2-1, 12) and despite dropping McDonnell in round 3 Kameda came up short on the cards. The Japanese fighter suffered his first loss though there has since been a lot of talk regarding a rematch later in the year. On May 12th we saw the ring return of former world champion Kompayak Porpramook (51-5, 36). The Thai had been out of the ring for 21 months following his October 2013 loss to Koki Eto in a FOTY contender. His return was a very low key affair against the debuting Fahpratan Kwanjaisrikot (0-1) and it was no surprise when Kompayak stopped his foe in the 2nd round. We had one of the biggest upsets of the year, so far, on May 16th when unheralded Filipino Eden Sonsona (34-6-2, 12) shocked previously unbeaten Mexican fighter Adrian Estrella (22-1, 20). Estrella had been touted as a future world title contender though was stopped in the 2nd round by Sonsona who may well find himself capable of getting a sizeable payday next time out. On the same night we saw Kazakh puncher Gennady Golovkin (33-0, 30) continue his reign of terror in the Middleweight division. Golovkin, defending his WBC “interim” and WBA “super” titles saw off Willie Monroe Jr (19-2, 6) in the 6th round. Monroe had given a spirited effort, especially given that he was down twice in round 2, though it did often seem like Golovkin was toying with his American foe. May 23rd saw our attention turning to South Korea where Hyun Mi Choi (10-0-1, 3) retained her WBA female Super Featherweight title with a wide decision win over Japanese veteran Chika Mizutani (14-5, 7). Choi was in control through out the bout and looked very talented whilst Mizutani generally looked out classed but brave. On May 28th we saw Srisaket Sor Rungvisai (34-4-1, 31) score one of his best wins to date as he mowed down Mexican Jose Salgado (34-3-2, 27) in 4 rounds. This bout was for the WBC “silver” Super Flyweight title and with the win Srisaket is now the mandatory challenger for WBC world champion Carlos Cuadras, the man that actually took the title from Srisaket last year. The final highlight of the month came on May 30th when Japanese teenager Kosei Tanaka (5-0, 2) claimed the WBO Minimumweight title in just his 5th professional bout. The youngster over-came Mexican Julian Yedras (24-2, 13) in a compelling 12 round affair which saw Tanaka show off everything he was capable off in the ring, including a few defensive issues that will hopefully be worked on when he gets back in to the ring. The youngster became the “quickest” Japanese world champion beating the previous record of Naoya Inoue by a single fight. May 2015 will be one of the most significant in boxing history. We all know that professional boxing will get the attention of the world on May 2nd however that's not the only date of note this coming month. To begin the month we get 4 notable bouts as the month kicks off in style. The first of those will see former 2-weight world champion Akira Yaegashi (20-5, 10) begin his career as a Super Flyweight following back to back losses in late 2014. The popular Yaegashi has been matched with an easy opponent though it's still going to be a joy to see him in action. On the same card as Yaegashi's bout we will see Japanese Olympic gold medal winner Ryota Murata (6-0, 4) battle against WBO world ranked foe Douglas Damiao Ataide (13-1-1, 6). This is a step up for Murata and a win here will move him towards a possible WBO world title fight though it also promises to be his toughest bout so far. Also on this card is a WBC Super Featherweight world title fight which will see the hard hitting Takashi Miura (28-2-2, 21) defending his title against former Featherweight title holder Billy Dib (39-3-0-1, 23). This is a high profile opportunity for Miura who has yet to become the star despite having a very fun to watch style. The remaining bout of note takes place in the US where Japan's Takahiro Ao (27-3-1, 12) looks to claim the WBO Lightweight title and over-come the tough Raymundo Beltran (29-7-1, 17). This bout will give Ao an opportunity to become a 3-weight world champion though it's not an easy contest for the popular Japanese fighter. It goes with out saying that the biggest bout of the month takes place in a little venue in the US on May 2nd as Filipino boxing icon Manny Pacquiao (57-5-2, 38) battles against the unbeaten Floyd Mayweather Jr (47-0, 26) in a bout to unify the WBO, WBC and WBA “super” titles at Welterweight. This bout is set to break all sorts of records and is, with out a doubt, the most significant bout in recent memory. The winner of this long anticipated fight will be viewed as the fighter of their generation and it's fair to say the fans of the loser will be left wondering “what if” had the bout taken place several years ago when both were still in their pomp. The action returns on May 6th world title triple header. The most exciting match up here will see WBA Super Featherweight “super” champion Takashi Uchiyama (22-0-1, 18) defending his title against unbeaten Thai Jomthong Chuwatana (9-0, 4) in what looks to be an amazing contest. This is not going to be easy for either man and a win for Uchiyama will hopefully lead to a unification whilst a win for Jomthong would instantly make him a boxing star. In a Light Flyweight title bout Ryoichi Taguchi (21-2-1, 8) will be defending his WBA title against Thai veteran Kwanthai Sithmorseng (49-3-1, 26). This will be Taguchi's first defense following his victory against Alberto Rossel in December and whilst it looks like a good bout on paper it really isn't very good with Sithmorseng having come up short against almost every notable foe that he's faced. The third world title fight will see WBO female Minimumweight champion Kumiko Seeser Ikehara (6-1-2, 3) defending her belt against Kayoko Ebata (8-5, 4). This will be Ebata's 4th shot at a world title having come up in 3 previous title fights whilst Ikehara will be defending her title for the second time following a disappointing technical draw with Jessebelle Pagaduan in February. One of the busiest days of the year comes on May 9th when we get a host of notable bouts taking place around the world. The most notable bout takes place in the US where Tomoki Kameda (31-0, 19) will battle against Jamie McDonnell (25-2-1, 12) in a WBA Bantamweight title bout. Originally this bout was announced a WBA/WBO unification contest but the WBO refused to sanction the bout and as a result Tomoki vacated the belt so that the bout could go on. It's a really good bout and one that we are genuinely excited about. One of the most notable bouts takes place in Kobe as former 2-weight world champion Hozumi Hasegawa (33-5, 15) battles against the unbeaten and heavy handed Horacia Garcia (29-0, 21). This will be Hasegawa's comeback bout following his loss to the then IBF Super Bantamweight champion Kiko Martinez last year, sadly however he's up against a very, very good opponent. Also in Japan we get a female world title fight as Yuko Kuroki (12-4-1, 6) defends her WBC female Minimumweight title against former world title challenger Masae Akitaya (9-5-2, 3). This isn't a great bout but it will likely give a lot of action for the fans at the Aqua Bunka Hall and will see Kuroki being forced to answer serious questions about her talent. A third successive Saturday of note comes on May 16th when we get two stateside bouts of note. One of those bouts will see unbeaten Kazakh destroyed Gennady Golovkin (32-0, 29) defending his collection of titles against the once beaten boxer-mover Willie Monroe Jr (19-1, 6). This will be Golovkin's 7th bout in the US as he looks to continue to continue his destructive run through the contenders of the Middleweight division. For Monroe this is a huge opportunity but one we certainly can't see him winning. On the same show we will also see the Teiken promoted Roman Gonzalez (42-0, 36) defending his WBC Flyweight title and making his long over-due HBO debut. The exciting Nicaraguan will be facing off against Mexican veteran Edgar Sosa (51-8, 30) in what should a very exciting bout and a great introduction for the US who haven't seen much of Gonzalez despite his sensational career. On May 30th we get a couple of bouts that have us excited. To us the most notable of those is in Aichi as the unbeaten teenager Kosei Tanaka (4-0, 2) attempts to set the Japanese record for few fewest fight to win a world title when he battles the much more experienced Julian Yedras (24-1, 13) for the vacant WBO Minimumweight title. The bout isn't the best the division could have given us but it is a brilliant chance to see if Tanaka is as good as he looks and a stoppage against Yedras would be very impressive. In the UK fans will see the Teiken promoted Jorge Linares (38-3, 25) defending his WBC Lightweight title against Britain's popular Kevin Mitchell (39-2, 25). This will be Linares's first defense of the title after winning the belt on December 30th last year, stopping Javier Preito, and will also be his UK debut. This bout really is exciting with men being able to hurt and be hurt and we'd be very surprised to see it go the distance. The final bout of note will come on the final day of the month as former Japanese and OPBF Minimumweight champion Ryuji Hara (18-1, 10) battles against Petchnamchai Sor Sakulwong (1-2, 1). This will be Hara's comeback bout following his sole loss, a 10th round TKO defeat by Kosei Tanaka, and we're expecting to see a very impressive performance by Hara here who will be wanting to make up for lost time and begin fighting for titles sooner rather than later. How has Japan got so many talented young prospects? It's widely accepted that Japan is the 10th most populated country on the planet. It's got around 128,000,000 people living on it and this places it between Russia with around 144,000,000 and Mexico 118,000,000. In terms of comparing it with some other boxing countries, the US is the 3rd most populated country with around 317,000,000, the Philippines is the 11th most populated with 99,000,000, Germany is the 16th most populated with around 81,000,000, the UK is the 22nd most populated with around 64,000,000 and Argentina is 32nd with 40,000,000. This means that Japan has less than half as many people as the US, marginally more than Mexico, 50% more than Germany, twice as many as the UK and thrice as many as Argentina. Despite the population being what it is, there seems to be so many more top youngsters coming from Japan than anywhere else. The big question then, is how come so many Japanese youngsters look so talented, so young? At the moment Japan has a wealth of young talent under the age of 25. This includes world champions such as Tomoki Kameda, 22 and Kazuto Ioka, 24, OPBF champions Ryosuke Iwasa, 24 and Masayoshi Nakatani, also 24, up coming world title challenger Naoya Inoue, 20 and more outstanding prospects than I can possibly list such as Kosei Tanaka, 18, Takuma Inoue, 18, Sho Ishida, 22 and Ryo Matsumoto, 20. Maybe, as we've said in the past, Japanese boxing is on the verge of a Golden Age of young talent, a once in a life time boom of youngsters who are all breaking through at the same time. Something tells me this isn't really the case though as 6 is years is a notably long time between the oldest of these guys and the youngest. Personally I think the the real answer lies in the amateur boxing system of Japan and the match making of Japanese fighters . It may be a surprising to mentioned the amateur scene considering that Japanese amateur boxers haven't been a key fixture at world meets. We rarely see Japanese fighters taking home medals from either the World Amateur Championships or the Olympics, however what we do tend to see is that the top Japanese amateurs don't tend to remain amateur for much longer than they need to. There are, of course, counter examples such as Satoshi Shimizu who has announced plans to compete at the 2016 Olympics, though these are rare. What we have instead are youngsters who have come through the Japanese amateur ranks by fighting regularly in high school and then turning professional at a young age before bad habits and amateur traits are engrained in their style. As well as turning professional at a young age these youngsters also seem to have adapted more professional styles than fighters from around the world. In many countries top amateurs take a number of bouts to learn to adapt. They are basically retrained in how to walk again against a much lower calibre of opponent than they were beating in the amateurs. In Japan however their styles are often fairly professional and they aren't taking huge steps back in their early professional outings. What is the point in going from fighting the elite, either domestically or on the world stage, as an amateur to then fighting domestic level journeymen as a professional? Are we really suggesting that top amateurs, such as Luke Campbell in the UK or Rau'shee Warren in the US need to learn by taking 10 steps backwards? If we look, for example, at Ryo Matsumoto. He did start like a typical "western" prospect fighting a string of weak opponents though by fight #5 he was facing a decent opponent in the form of John Bajawa and in fight #10 Matsumoto will be fighting a multi-time title challenger. As for Luke Campbell's 5th fight he's fighting Scott Moises, a guy who holds an 8-8-1 record. Still Campbell did do better than Warren who faced Jiovany Fuentes, a blown up Flyweight who had been inactive for 2 years. Warren, who now sports a record of 10-0, fought his 10th professional contest earlier this year and faced the very experienced German Meraz who at the time sported a decent looking 46-28-1 record. Unfortunately Meraz hadn't beaten a fighter with a winning record since late 2009 and had only beaten a handful in total. Meraz was the proverbial can crusher with a boosted record that allowed other fighters to look impressive though in reality served as little more than a record padder himself. So as well as having more professional styles the Japanese youngsters are also matched better. They are matched progressively on the whole and take steps up. There is no point in wasting time in this sport as one good shot could finish your career and if you're good enough you're good enough. Possibly the biggest reason for the boom in Japanese youngsters however is that promoters are willing to take a risk or two. They aren't hiding their talented youngsters in the shallow end of a swimming pool with water wings but are willing to let them swim with sharks. If they get bitten early then it's a rebuilding process and they can cycle things down a gear, as seen in the career of Keita Obara who lost on debut though is now fighting for an OPBF title just a few years later. If a youngster doesn't get bitten however then let them swim with more sharks. Kazuto Ioka is probably the best example right now. In fight #6 he faced an experienced domestic level campaigner, then in fight #7 he faced a highly experienced and unbeaten world champion then in fight #10 he faced a fellow world champion in a world title unification. These were risky fights but Ioka believed in himself, his team believed in him and he showed his worth. In so many places keeping a fighters unbeaten record is actually more important than developing their skills and legacy. You develop by fighting better fighters, you develop by fighting in competitive matches and you develop by needing to prove yourself. Taking a loss along the way is just part of a fighters development. In the US fans are already starting to turn on Gary Russell Jr who has had 24 fights but no risks, Deontay Wilder is similar though has 33 wins with no risk and Sean Monaghan is 20-0 though has again had no risks. Between them these three fighters have had 77 fights yet we have no idea how good they are. Between Ioka, Tomoki, and Naoya Inoue there is a combined 48 fights and already there 2 world champions and a future title contender. US promoters might want to protect their investment and that makes sense, but do you really think Japanese promoters aren't doing the same? The difference is Japanese promoters don't tell you they have a wonder talent then protect him, instead they tell you they have a super talent and they prove it. They don't use smoke and mirrors to sell us a prospect they let the prospect talk with their actions. So why does Japan have so many good, talented youngsters? Well their amateur system seems to promote a more professional style to boxing at a young age, they don't waste time staying in the unpaid ranks for too long, they are developed quickly as professionals and they are allowed to prove their talent rather than merely defeat over-matched foes for years. This is a combination of "ignoring" the amateur scoring system that has plagued amateur boxing for so long, great training, great desire of the individual fighters to prove themselves and brave promoting. This isn't a golden age of Japanese boxing, but the start of a revolution which I feel will continue for a long time. Earlier this year Fuji TV ran a show featuring Naoya Inoue and dubbed it "Exciting Time". The show, which featured not only Inoue but also the public exhibition of Ryota Murata, really did suggest that we were at the beginning of a very exciting time in Japanese boxing. When you recall that actual card, on April 16th this year, you'll also remember that it saw the 7th straight stoppage victory for the highly touted Ryo Matsumoto further adding to the idea of "Exciting Time". Since then however things have just become a little more exciting, in fact we'd go as far as to suggest Japanese boxing is on the verge of a Golden Age thanks to all the young talent coming through. There are so many good youngsters that we felt the need to talk about them, though unfortunately we're bound to over-look some just due to how many there are right now. The most obvious of the promising Japanese youngsters is clearly Naoya Inoue (4-0, 3). The youngster has already claimed the Japanese national title and will be looking to add the OPBF title next time out as he takes on Jerson Mancio of the Philippines. Whilst there is still a lot development to be done with Inoue, who's been fast tracked so far, there is so much to like about the kid that it's easy to see why so many are excited about him. He has wonderful shot selection, great movement, very hurtful power and one of the best boxing brains of any youngster in the sport. In fact it's fair to say that he's just a flat out natural in the ring and there is no doubt that he'll be a world champion sooner rather than later. Whilst we all know about the talent of Naoya Inoue it's also worth noting that his 17 year old brother has just turned professional himself. Takuma Inoue (0-0) has followed in his brother's footsteps by signing up with the Ohashi stable of fighters and although he's yet to fight as a professional there is a lot of expectation surrounding him. In fact the rumour is that Takuma will be trying to claim a Japanese national title in just 3 fights, beating his older brother by a fight. Takuma Inoue is expected to make his professional debut on December 6th on the same show as Naoya attempts to claim the OPBF title and we'd be very shocked if he was given an easy opponent looking at how Naoya has done so far. Whilst the Inoue brothers are youngsters with as much time as they want to build a career it's fair to say that Ryota Murata (1-0, 1) has a bit less time to reach his potential. Aged 27 Murata has huge expectation on his shoulders though has the talent to go as far in the sport as he wishes. In fact in the case if Murata it's not just talent but the personality, the looks and the natural charisma to be a genuine star in either the west or the east. Murata is a former amateur standout who claimed both an Olympic Gold and World Amateur Champion silver and that appears to have served him well. 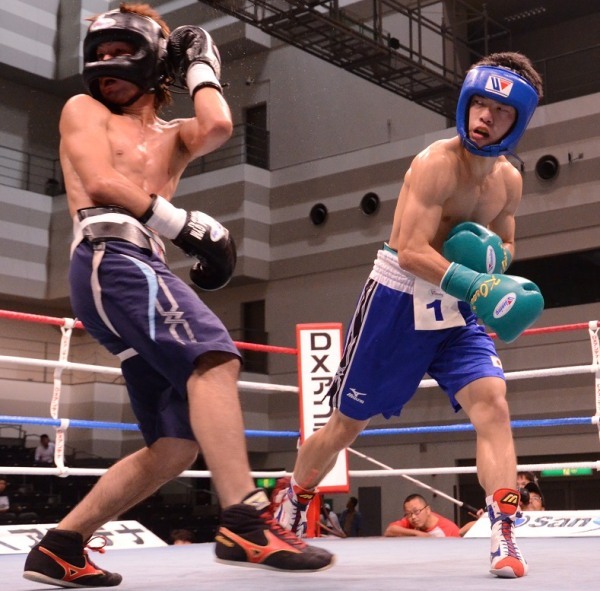 He made his professional debut back in August and dominated OPBF champion Akio Shibata and looked like he was made. Incidentally Murata will also return on December 6th on the same show as the two Inoue brothers. It's easy to fall in love with a puncher and we hope that's not what we're doing here but Masayoshi Nakatani (6-0, 5) looks like a monster. Stood at 5'11" the Ioka trained Nakatani is a Lightweight with serious power, lovely body punches and a great jab, when he uses it. Although still fairly raw he looks like someone who has the potential to be very special. Nakatani came to our attention earlier this year when he stopped fellow puncher Shuhei Tsuchiya in 3 rounds and we'll admit we're very excited about his future, which will hopefully see him fighting for either a Japanese of OPBF title in the next 12 months. It's not just the debut of Takuma Inoue that is getting Japanese boxing fans excited but also the debut of Kosei Tanaka (0-0) who debuts on November 10th against the world ranked Oscar Raknafa of Indonesia. Tanaka is just 18 but is seen as one of the future stars of Japanese boxing thanks to his excellent amateur career which saw him picking up 4 High School titles before turning to the professional ranks. Tanaka is viewed as a "super prospect" like Naoya Inoue and Kazuto Ioka before him and on the showing of his test bout against Yuji Shimizu there really is no limit to what this youngster could produce in the ring. 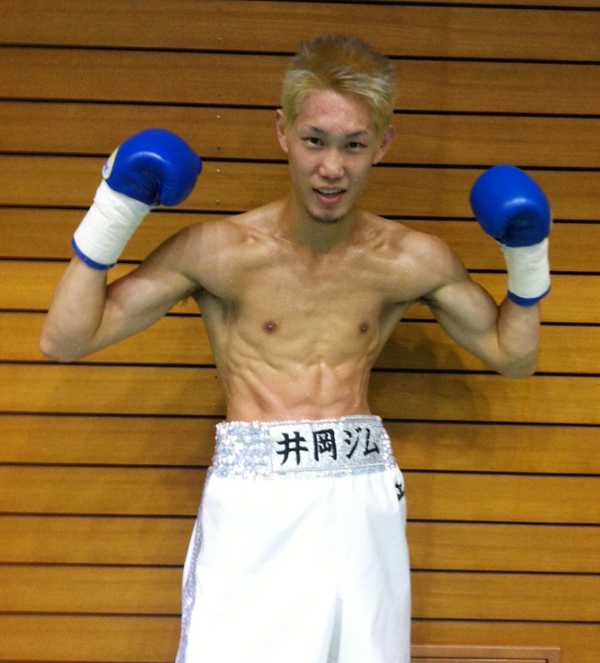 Sho Ishida (14-0, 7) is a Super Flyweight who at just 21 is starting to make a name for himself. Although more experienced than the names above he is still young and has already started to move up in terms of the quality of his opponents. We'd like to see him take another step up but he certainly doesn't need rushing at his age. 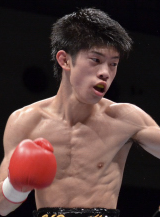 Shohei Omori (9-0, 5) is a southpaw currently campaigning in the Bantamweight division. Aged 20 he's slowly making a name for himself and really made an impact last time out stopping Kiron Omura in 92 seconds in by far his most notable victory to date. Stood at 5'8" he certainly could fill out in to a solid looking Featherweight at full maturity and is looking likely to move up the domestic Bantamweight rankings in the near future. Hiroki Okada (6-0, 6) is another puncher much like Nakatani though one not likely to go as far as the Lightweight hopeful. Stood at 5'9 Okada is a sightly shorter than average Light Welterweight though he really impressed us by stopping Heri Andriyanto in 2 rounds earlier this year. Although it was the fifth stoppage of Andriyanto it's worth noting he had taken both Shuhei Tsuchiya and Yoshihiro Kamegai the distance in his two previous bouts in Japan. With the likes of the fighters we've mentioned here, and of course the top youngsters who are already established like Kazuto Ioka and Tomoki Kameda, it really is a very exciting time for Japanese boxing. The next decade or so could give us a truly golden age in Japanese boxing.